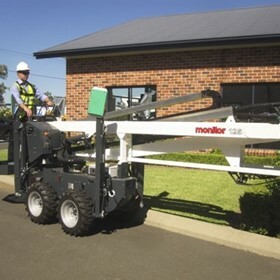 Over 18 years ago, Monitor Lifts introduced the first spider-lift to the Australian market. 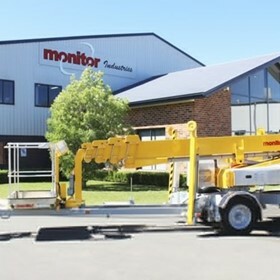 Today, Monitor is recognized as the leading supplier of spider-lifts and other specialized access machinery in Australasia. 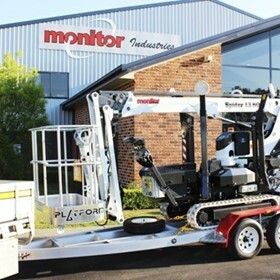 Monitor Industries are the exclusive importers and distributors of Specialized Aerial Access Equipment for Australia and New Zealand. 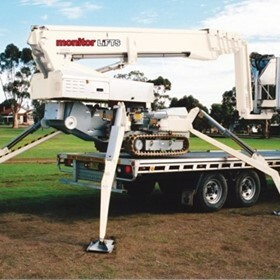 Bringing the first so called Spider Lifts into Australia during 1998, Monitor Industries have now become well recognized nationally, as the “Difficult Access Specialists” throughout Australasia. 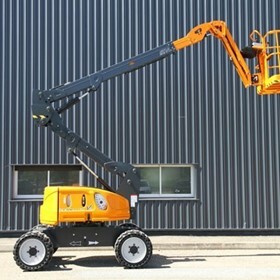 All Spider Lifts are designed with similar concept features; that is, light weight, very compact construction, suitable for narrow access sites, use four stabilizer legs for stability and levelling on steep and undulating terrain. 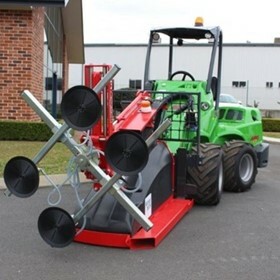 These lifts generally feature dual-power hydraulic pumps to allow indoor and outdoor operation. 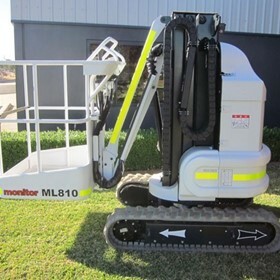 Most models can be equipped with non-marking wheels or rubber crawler tracks to allow operation on interior flooring. 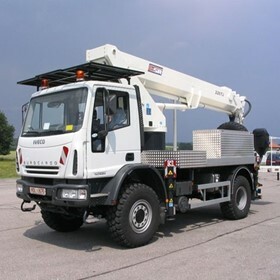 Now with several hundred units, of various models, working Nationally with Owner Operators, Hire Companies, Contractors, Councils, Electrical Authorities, Tree Loppers and Maintenance Companies, to name a few, Spider-Lifts are becoming very well recognized and rapidly gaining in popularity as their benefits are realized and proven. 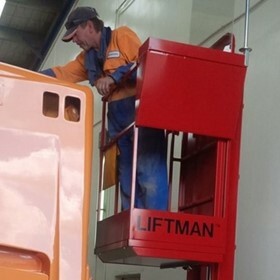 These unique lifts are real problem-solvers in many applications. 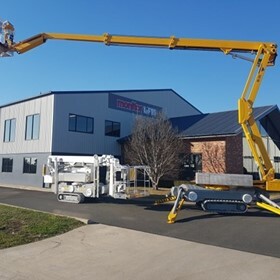 With a very comprehensive range of Spider-Lift models available, there is a machine available to suit almost every difficult access application. Some models are available with an expandable track system and Monitor’s Low Voltage Electrically Insulated models are now gaining entry into the Power Authority sector.